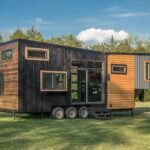 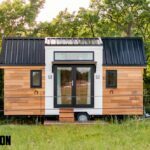 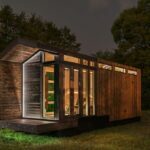 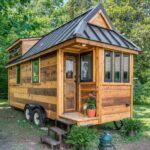 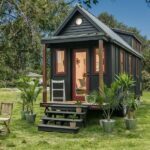 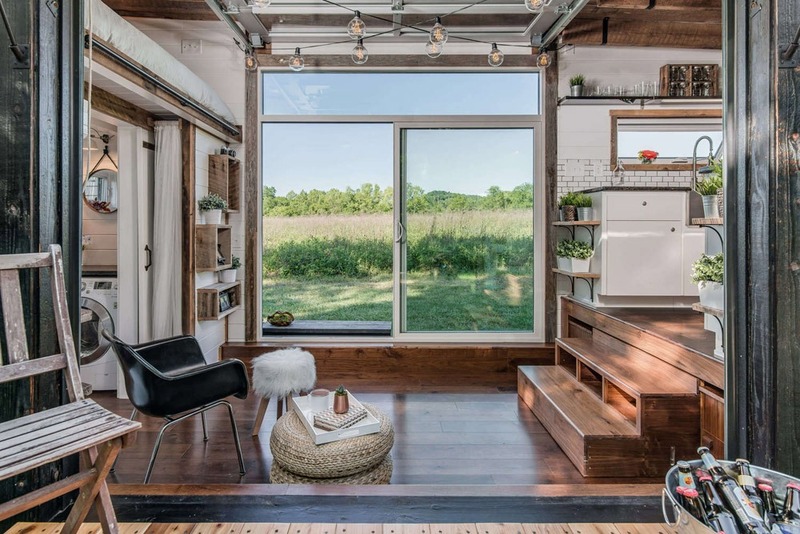 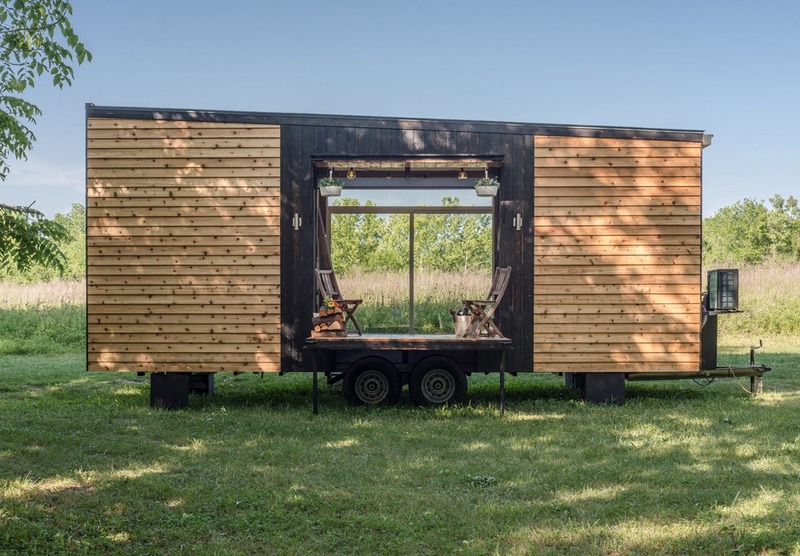 The Alpha is a modern-style tiny house designed and built by Nashville, Tennessee-based New Frontier Tiny Homes. 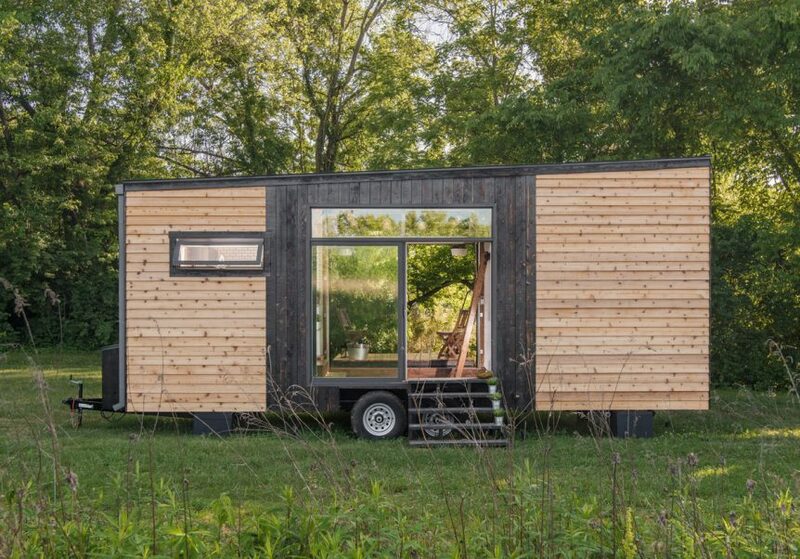 Shou Sugi Ban cedar siding contrasts beautifully against the natural red western cedar. 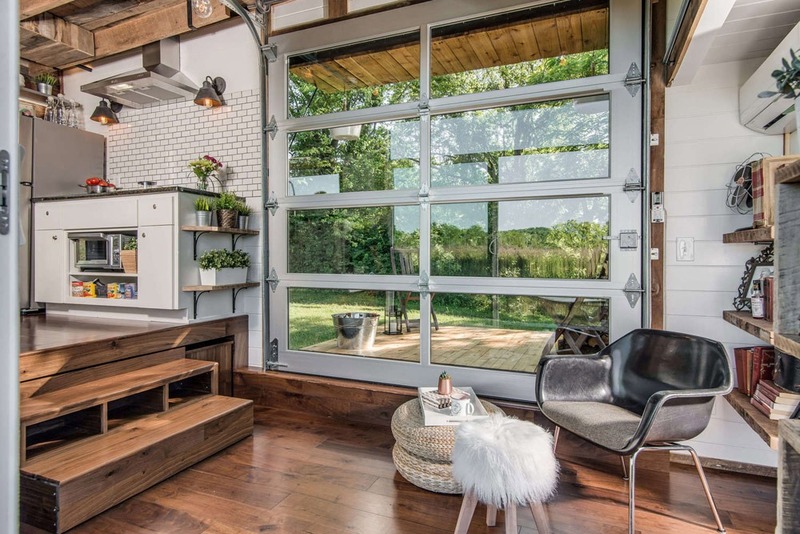 Inside, you’ll find hardwood floors and a reclaimed barn wood ceiling. 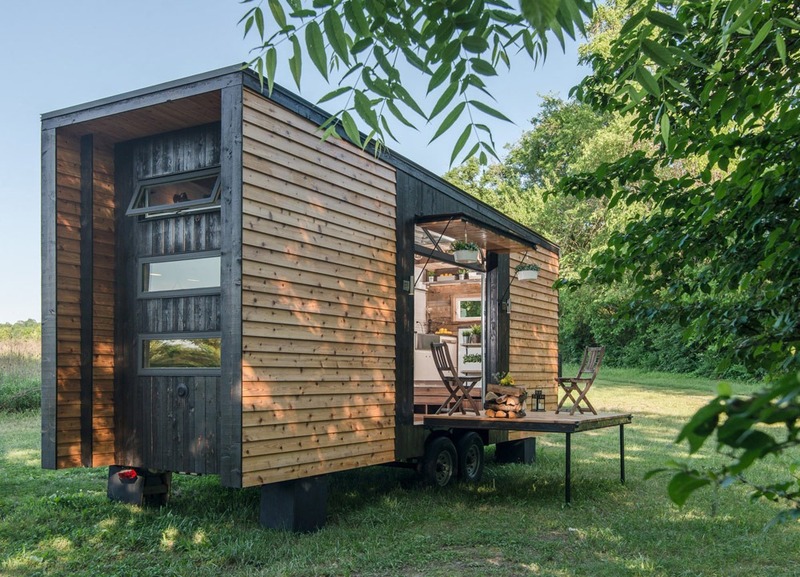 David Latimer and his team did a superb job customizing this 246 sq.ft. 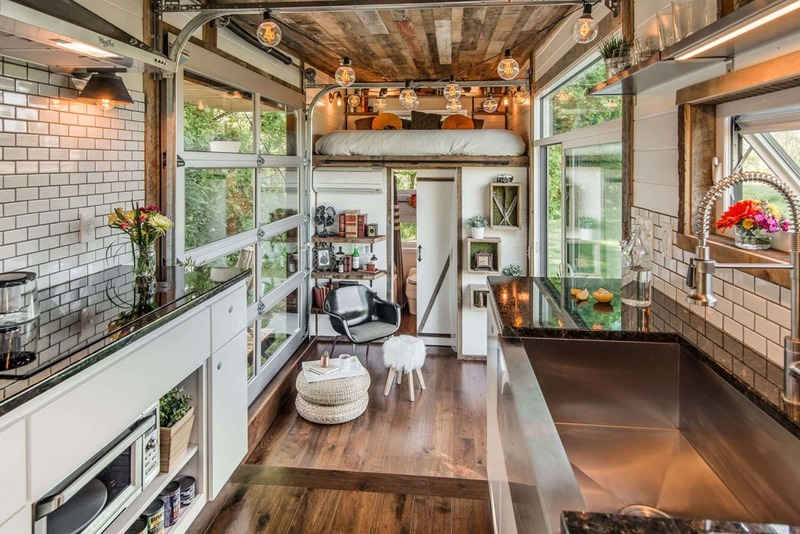 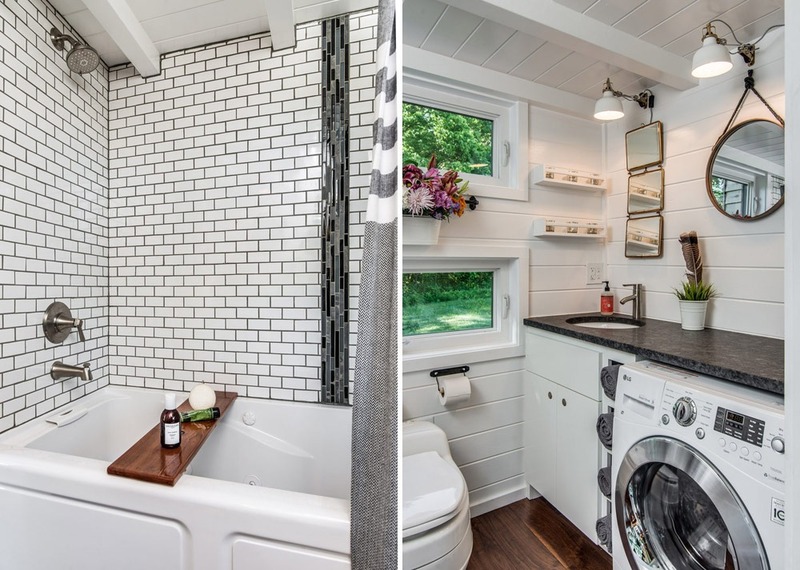 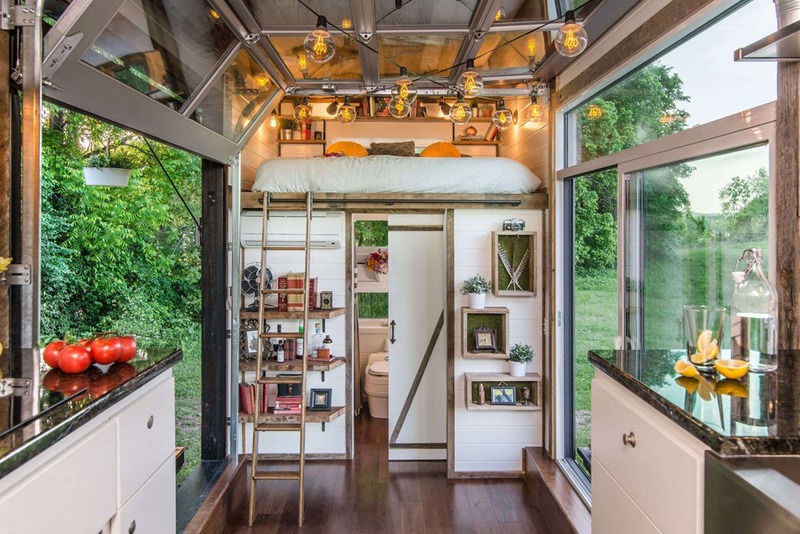 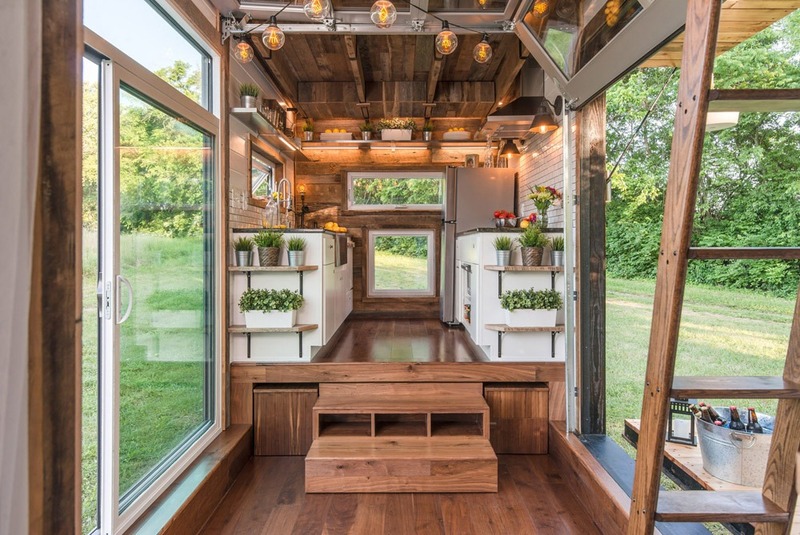 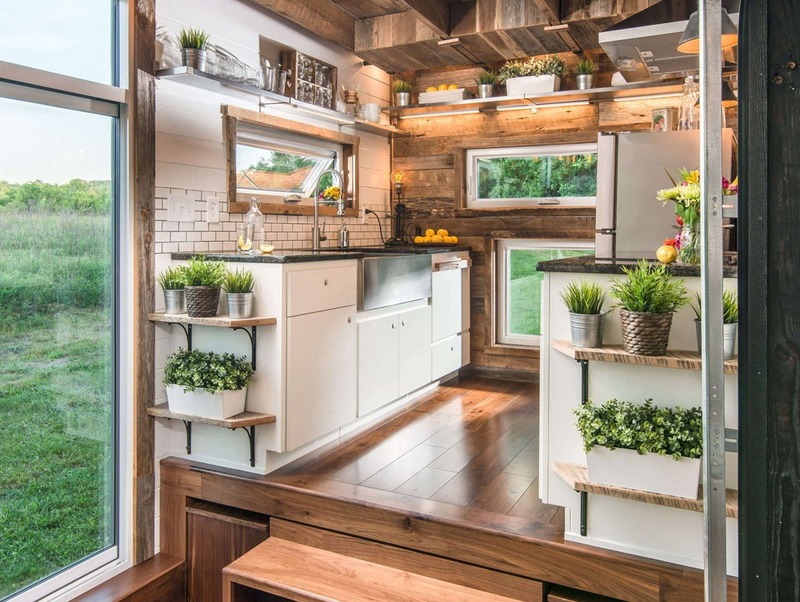 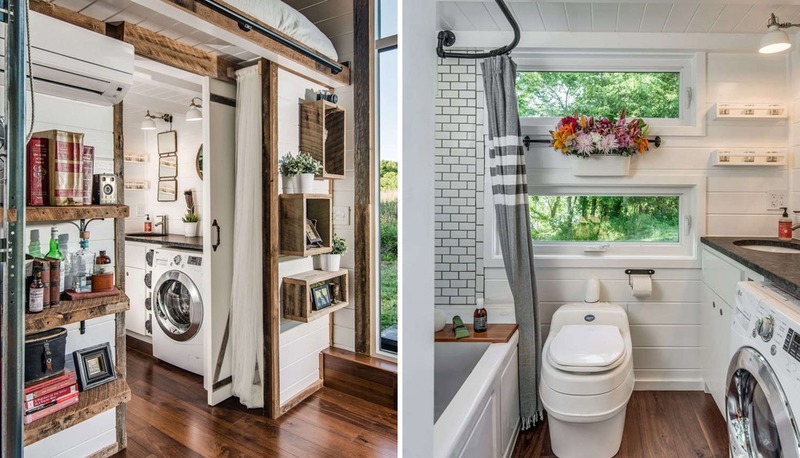 tiny house to maximize use of space and functionality. 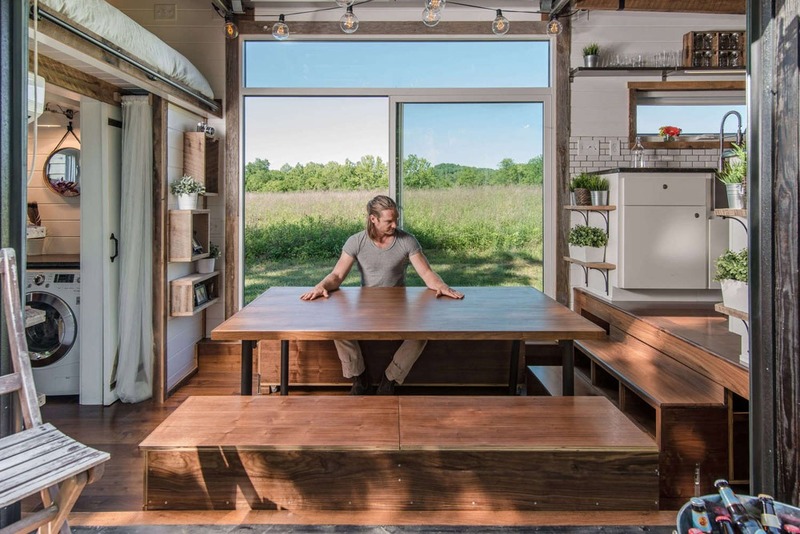 Custom touches include a fold down deck and awning, tempered glass garage door, a giant sliding glass door, and a custom 8 person dining table that folds away under the kitchen floor. 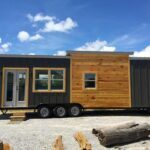 Also available from New Frontier Tiny Homes: Orchid, Escher, Alpha, Cedar Mountain, Riverside.